Round owl friend is back! Tomy is releasing new Mocchi-Mocchi- style plushies! 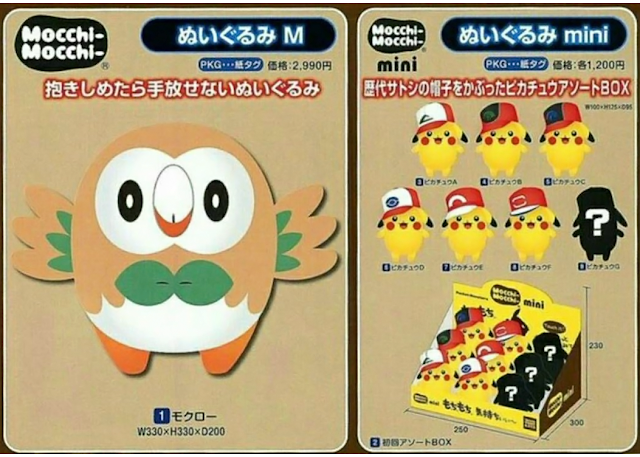 They will be releasing a Rowlet plush along with a mini set of Pikachu wearing various Ash hats. They will all be released mid-July 2017.